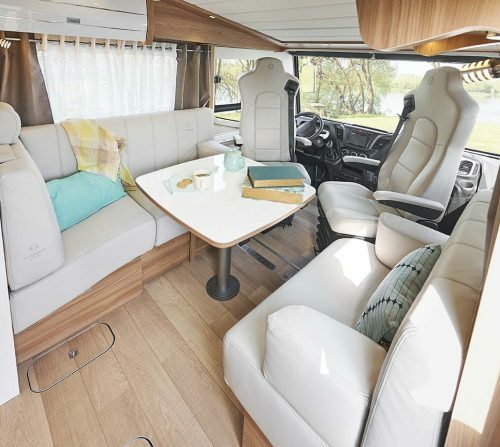 Our Liners can be purchased with a choice of two furniture ranges, for a pure and spacious lounge area. 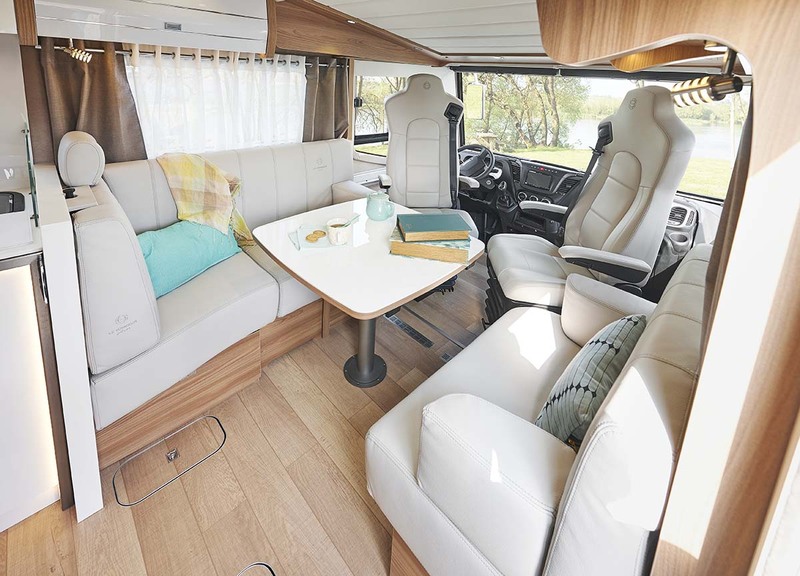 The "Classic Line" offers furniture with rounded edges and the wood finish creates a warm, cosy atmosphere. 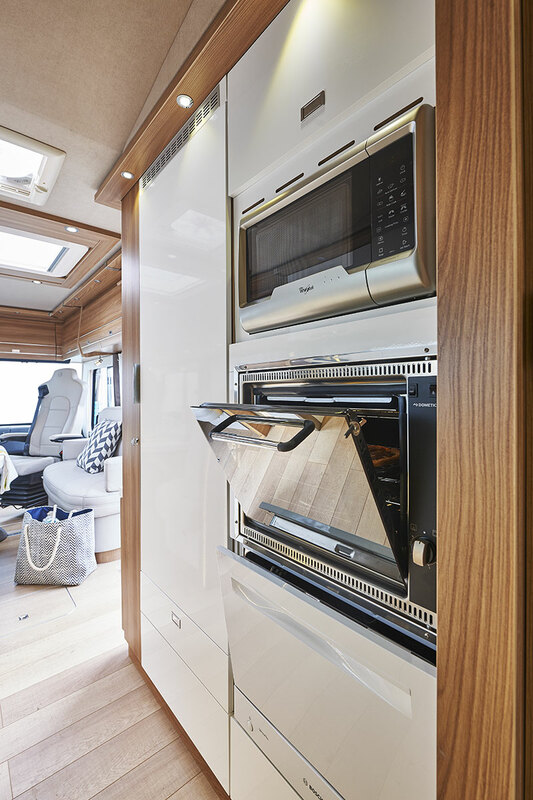 For a more contemporary look, the "Concept Line" is ideal, with its sharp lines and stainless steel and chrome finish. 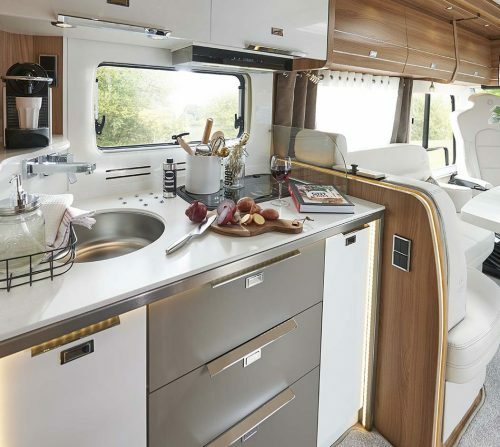 To help you enjoy this space to the fullest, retractable folding tables make moving around an easy task. 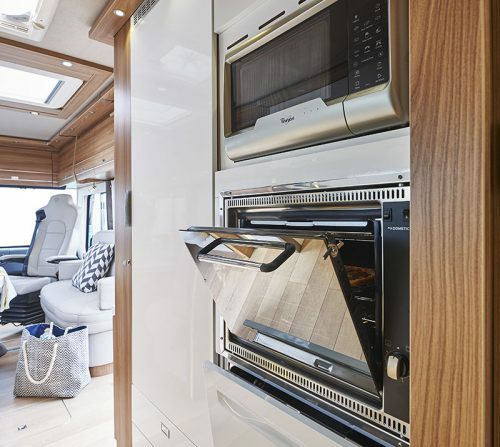 The TV stowed out of sight in the entrance hall unit to free up the area when you're not watching it. 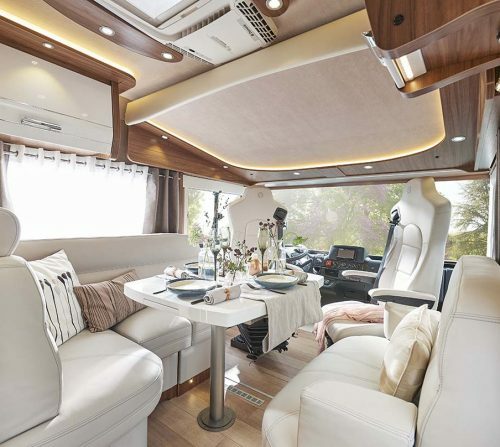 For extra home comfort, the floors are designed without steps (excluding 924 QD CAR model). 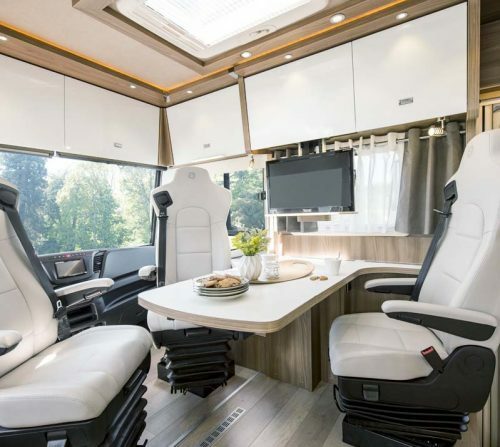 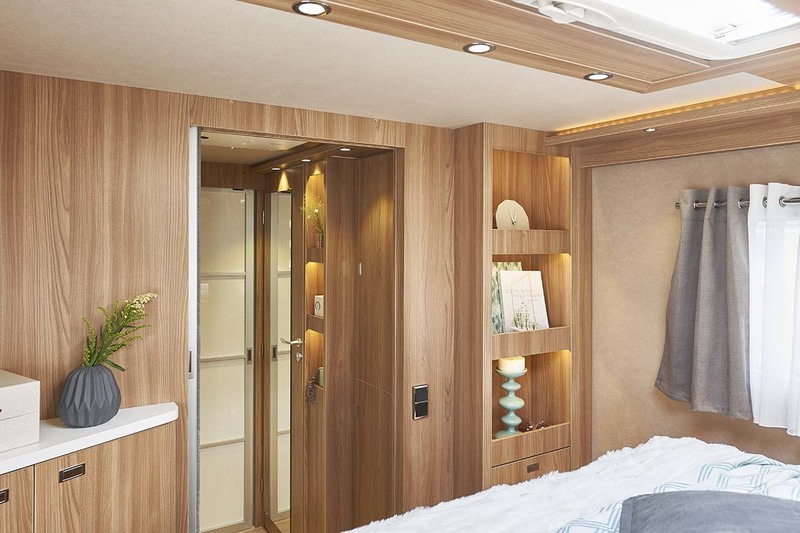 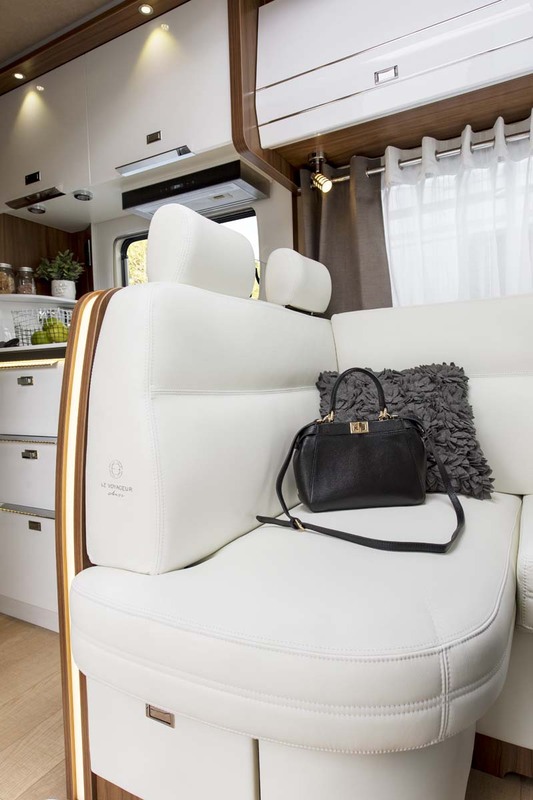 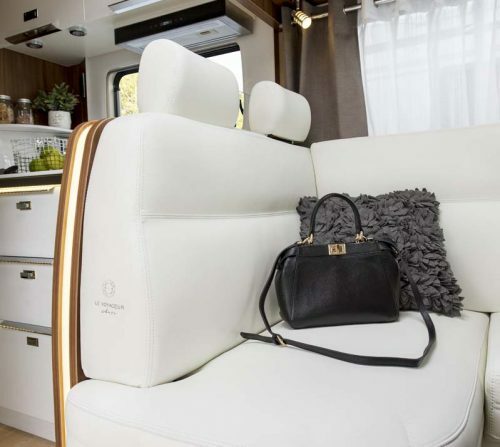 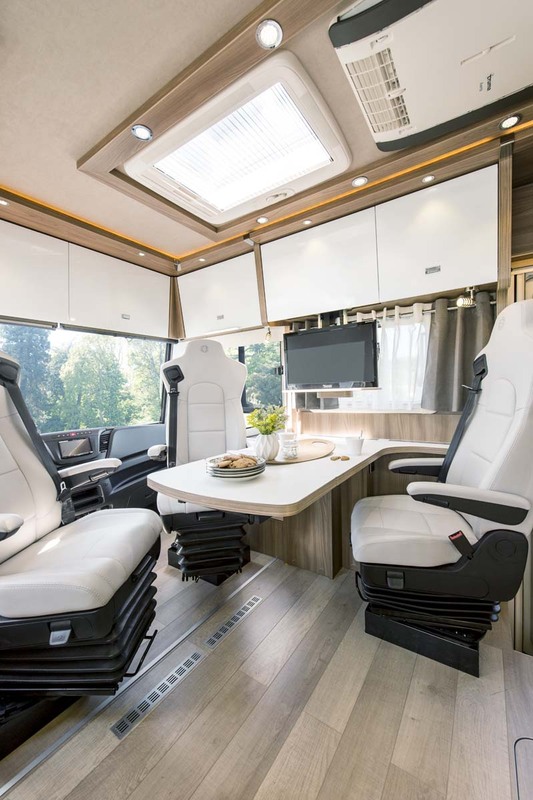 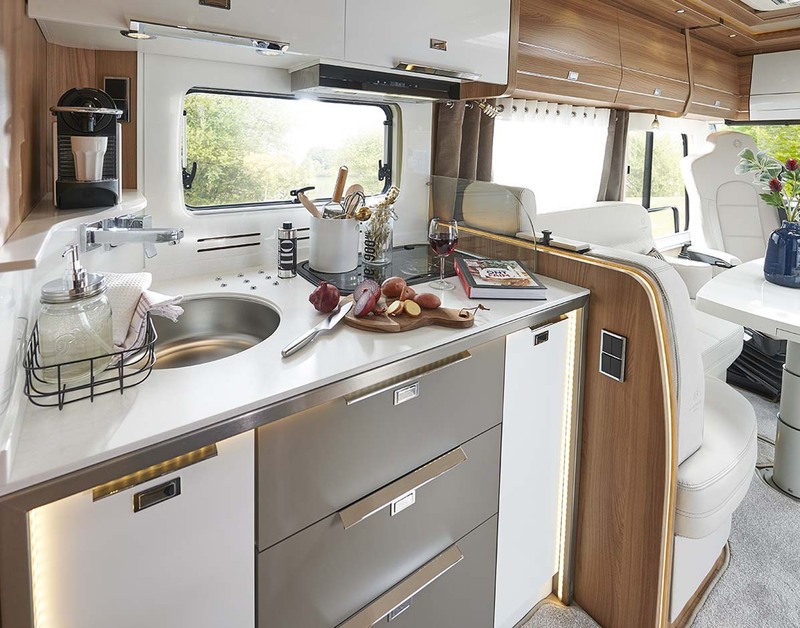 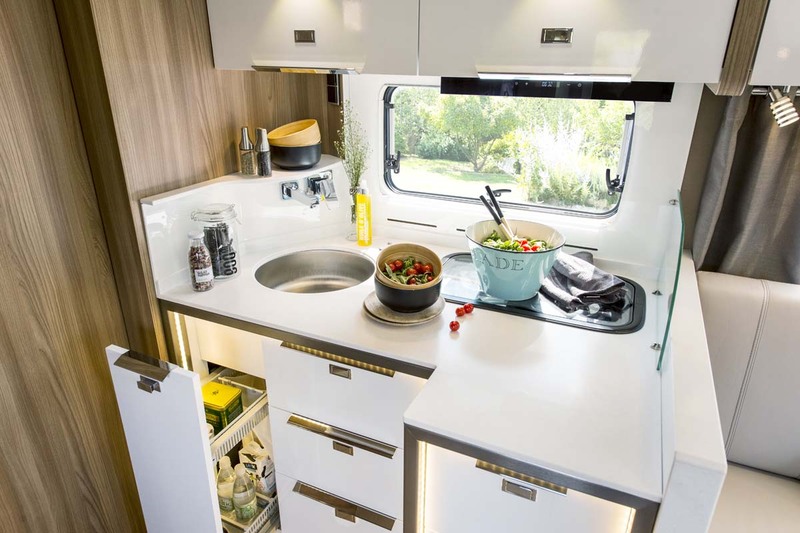 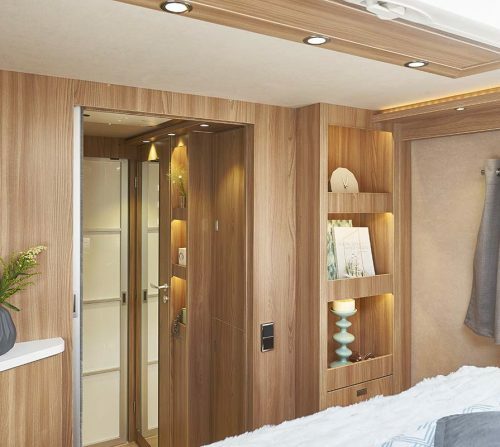 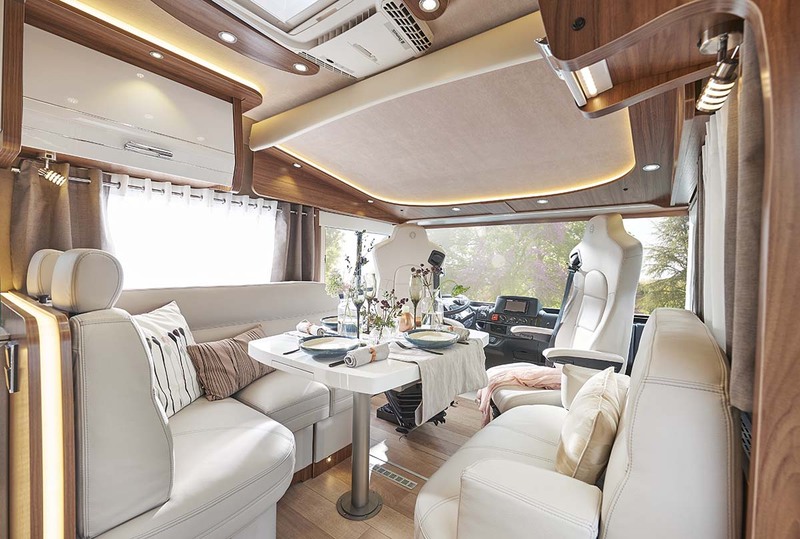 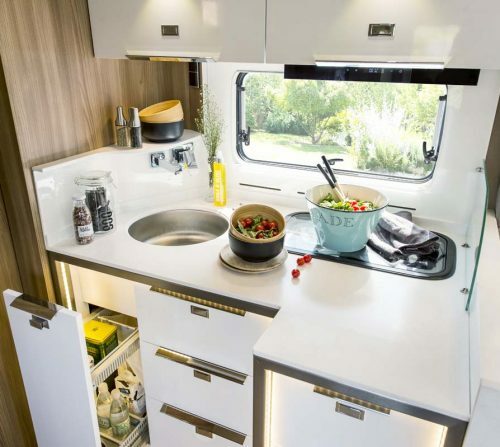 Our Liner motorhomes are fitted with lightweight, resistant resin worktops, for an effortlessly welcoming setting. 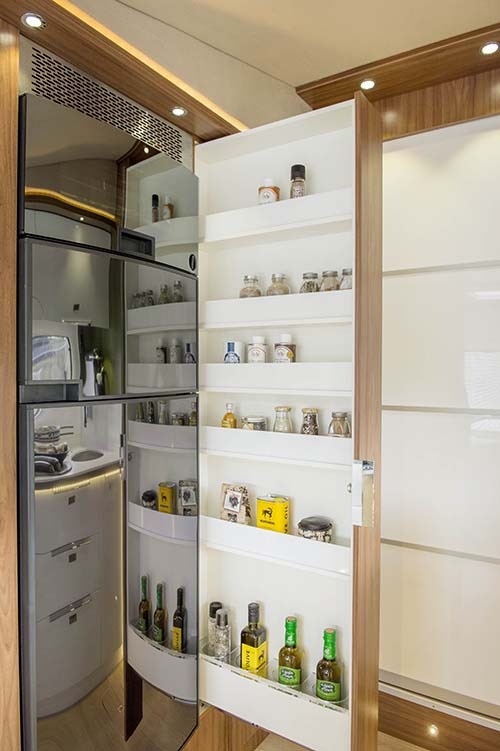 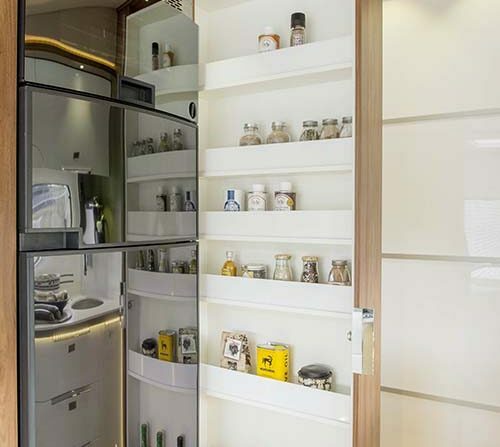 The built-in refrigerator and oven column is elegantly understated, and the cupboard provides volumes of handy storage space. 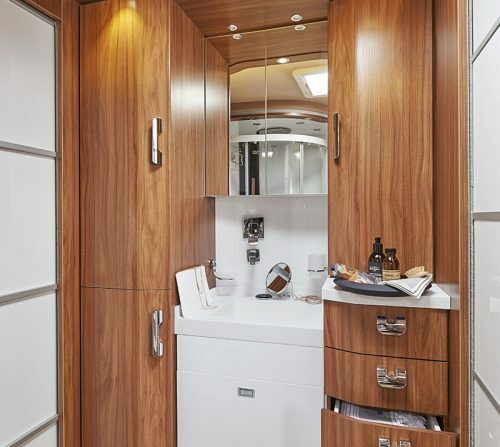 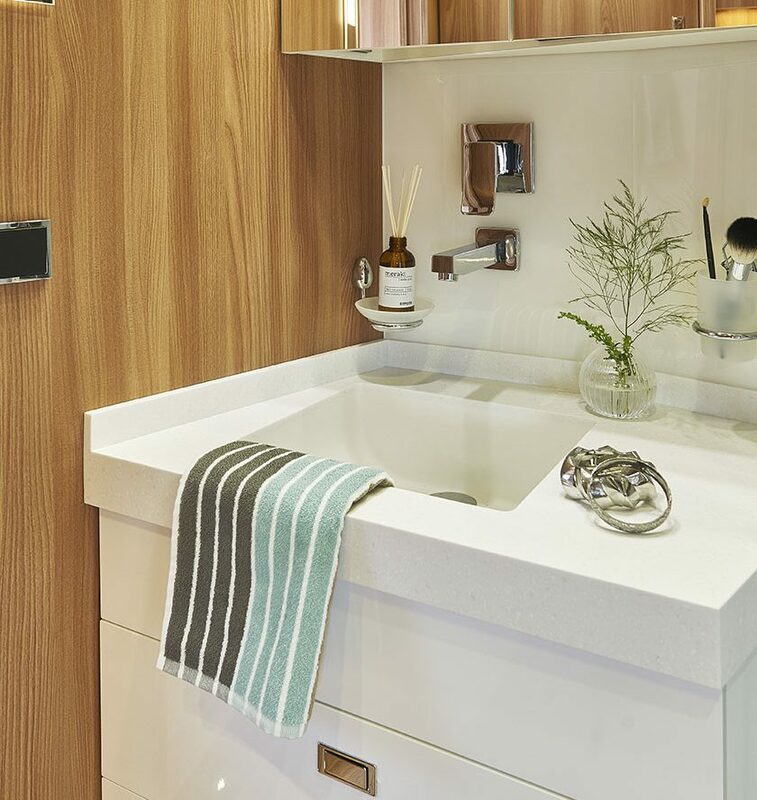 In the name of optimised spaces, bathrooms are fitted with numerous mirrors. 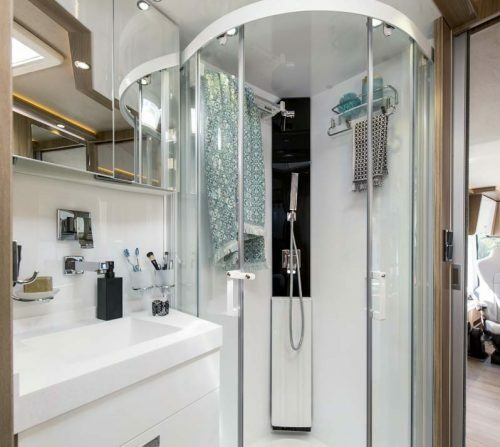 Blending design, sturdiness and durability, the extra-large shower boasts sliding doors on an aluminium frame. 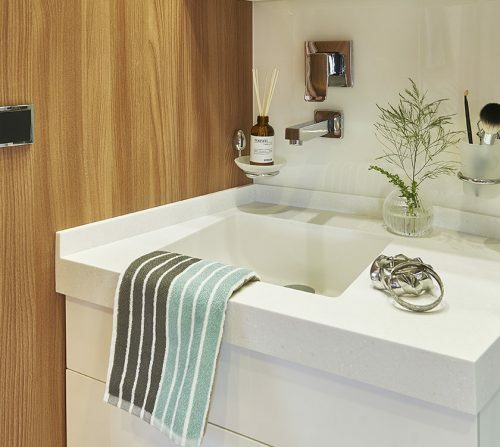 Each bathroom is also equipped with a macerating toilet and an ALDE heated towel rack. 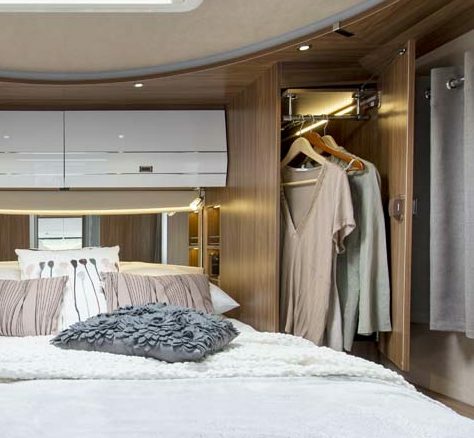 After a day of hiking, exploring or whatever else may have taken your fancy, and then winding down in the lounge, you decide it's time for bed. 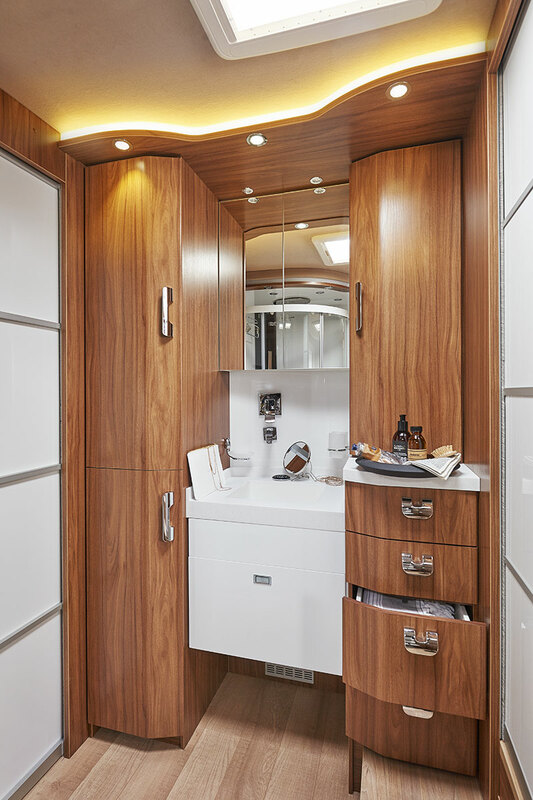 Your clothes are stored close at hand and aren't the least bit ruffled, thanks to the hanging closet. 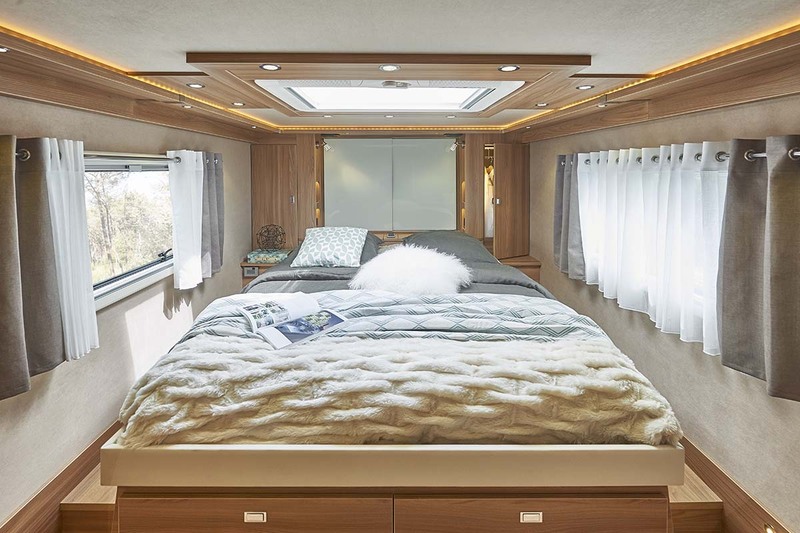 The headboard's long recess allows you to store your books, tablet or decorative items. 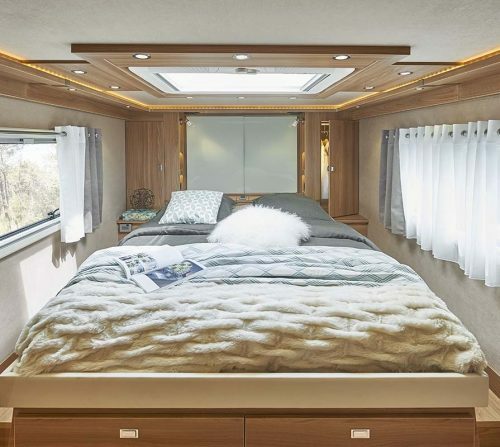 Sink into the soft mattress, and dive into a good book or a deep relaxing sleep.